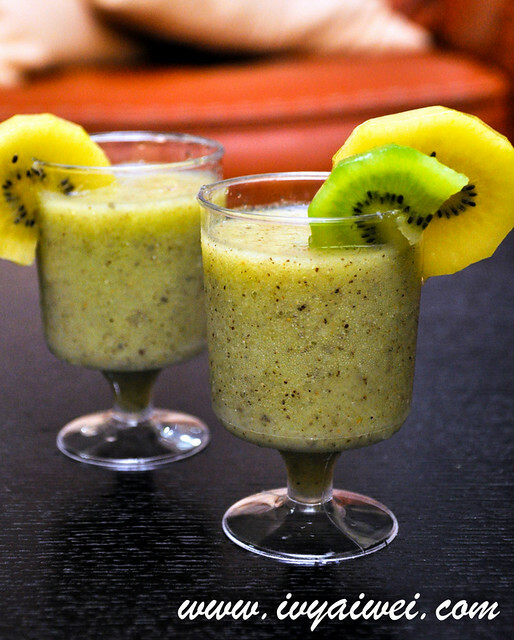 When there is a lot of over-ripe Zespri® Kiwifruits available at home, the best stuff to do with them are to blend them into juice or smoothie. Since there is no more ice cream or yoghurt left in the fridge, I decided to turn them into juice instead. It is so simple that will just need your 5 minutes for a refreshing glass of juice that overloaded with Vitamin C, dietary fibers and high contents of antioxidants. 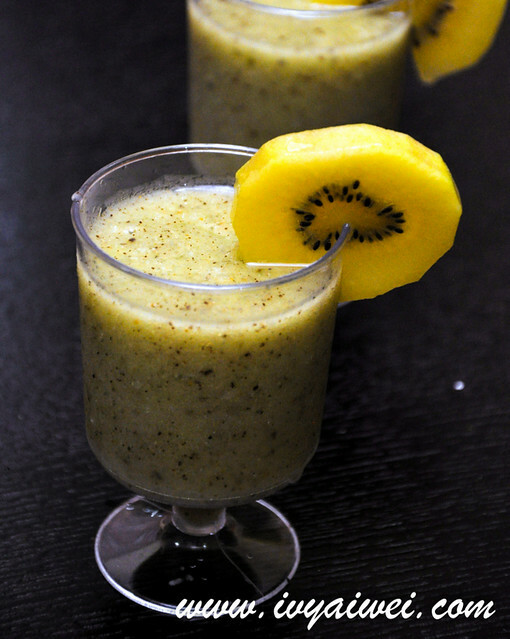 Put in all ingredients into the blender and let the machine work! Drizzle the honey onto the juice before served. Voila, as simple as ABC. 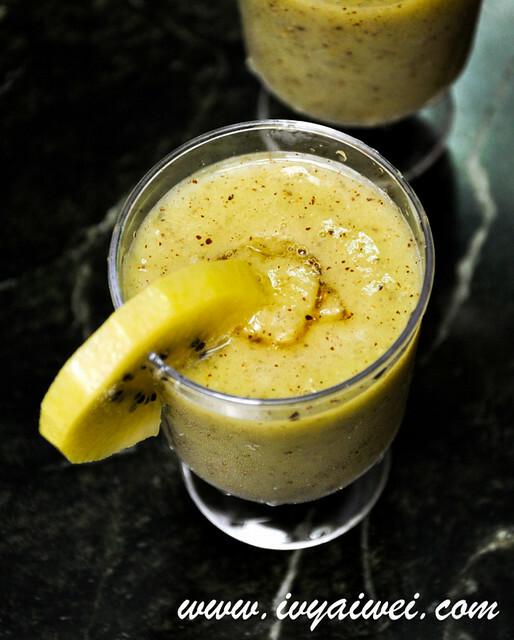 You can get a refreshing juice first hand in the morning to ease your bowel movement too! a great fresh start for the day! Wow, kiwi fever is on!